Xiaomi regained its position as China's leading smartphone vendor in the second quarter, while Apple fell to third place despite increased sales of its iPhones. Xiaomi took 15.9 percent of the Chinese market in the April-to-June quarter, according to research firm Canalys, followed by Huawei, which had 15.7 percent and was the fastest growing vendor. It's an impressive feat for both Xiaomi and Huawei. China is the world's biggest smartphone market and competition is more fierce than ever, with Apple, Samsung, and dozens of smaller local vendors all fighting for a bigger piece of the pie. All of this is happening as the rapid growth in China's smartphone market is starting to fizzle out. Samsung, once the top smartphone vendor in China, has seen its market share tumble. The Korean electronics giant ranked fourth last quarter, even though it launched its newest flagship phone, the Galaxy S6. Apple apparently struggled compared to its rivals, falling to third place. And this despite reporting strong growth in China in its recent earnings report. Canalys didn't release its estimate for Apple's market share; it's full report on the China smartphone market is due later this week. Chinese consumers are buying more phones from homegrown vendors such as Xiaomi, Huawei and Lenovo. Many of their phones are cheaper than an iPhone or a Galaxy but come with similar specs. Xiaomi has grown quickly by selling feature-packed Android phones at low cost. It made an art of marketing itself through social channels, building a strong fan base among young Chinese and keeping costs down by selling its phones online. However, in China's slowing market even Xiaomi might struggle to reach its sales goal of selling 80 million phones this year. "Competition among major brands has never been so intense," Canalys analyst Wang Jingwen said in a statement. 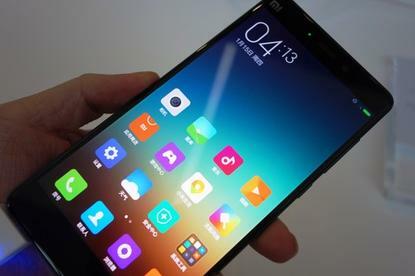 "Xiaomi is under immense pressure to maintain its top position in the quarters to come." Rival Huawei nearly toook the top spot itself in the second quarter. The company's higher-end phones are taking off, and not only gobbling up market share, but generating more profit.